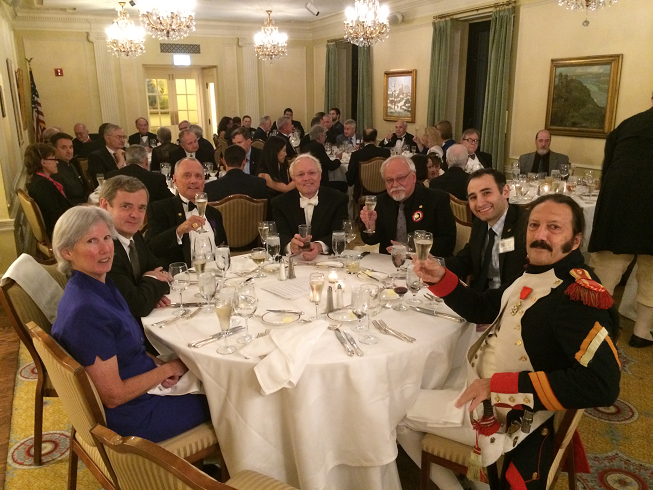 This year’s Annual Conference was held at the historic Union League Club of Chicago in the heart of our Society’s home city. The setting could not have been any more perfect, as downtown Chicago truly exhibits the charm and grace of a city that matured in the 19th Century. Despite all of the modern refinements and creature comforts that have been built in to the ULCC to accommodate our 21st Century sensibilities, the architectural atmosphere is so powerful, the building almost functions as a multi-story time machine back to the 1870s. 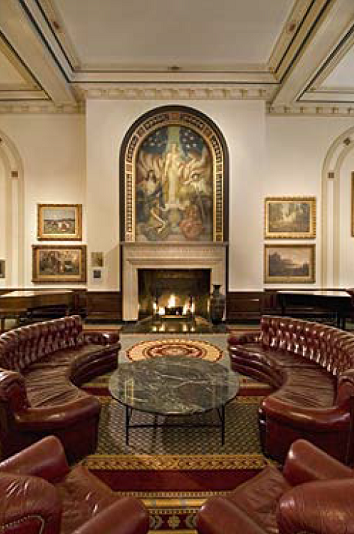 One can almost feel Ulysses S. Grant and his political associates wandering the halls of the Union League Club. The ULCC Library was also a sight to behold. It was almost as though The Diogenes Club, where Sherlock Holmes’ brother, Mycroft spends his days and nights, was brought to life. 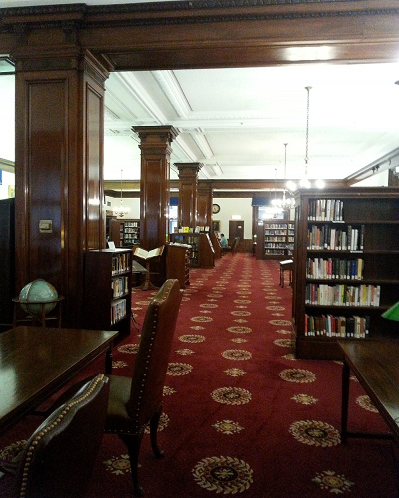 The Library was intimate, quiet, refined, and richly appointed with an equally impressive collection. This year’s slate of speakers was more than a match for the superb surroundings in which they made their presentations and the discussions they generated during our sumptuous dinners were equal parts interesting and profound. The dinners that we all shared together served to strengthen old friendships and give life to new ones as well as being tremendous experiences for all of our taste buds! 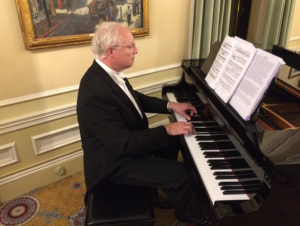 Of special note, during Saturday night’s Gala Dinner, we were honored and thrilled to enjoy a musical performance of some of Napoleon’s favorite composers and several period battle pieces by Peter Hicks of La Fondation Napoleon. The performance concluded with a sing-along of Le Chant du Depart, which all present sung with the greatest zeal and fervor. 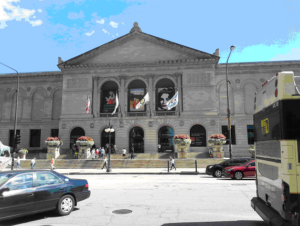 On Sunday we concluded our conference with a short walk from the ULCC to the Art Institute of Chicago for a guided tour of the exhibition dedicated to the work of Jacques Louis David. 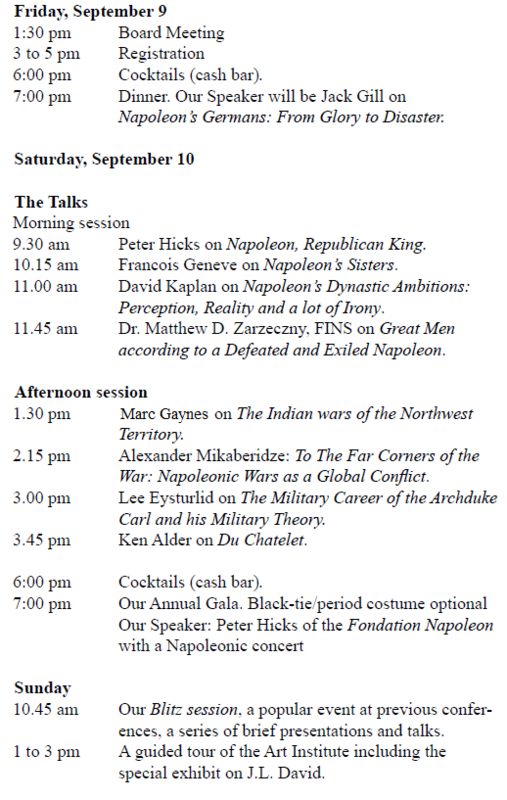 The centerpiece of the exhibition was “The Emperor Napoleon in His Study at the Tuileries”, 1812 by David, which was graciously loaned to the AIOC by the National Gallery of Art in Washington, D.C. 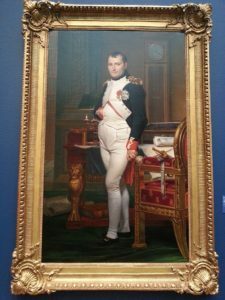 The art historian in charge of our tour guided us through all of the symbolism and minute details that Jacques-Louis David infused into this now classic representation of His Imperial Majesty.